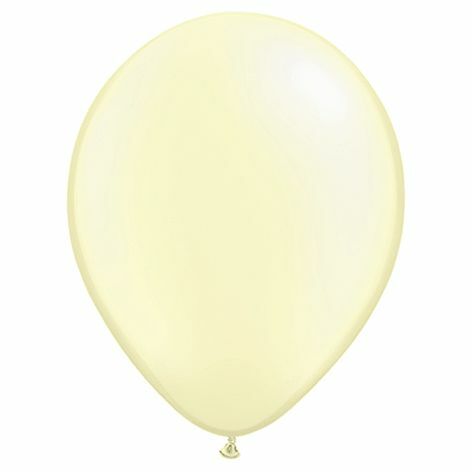 High quality pearl ivory traditional style latex balloons from Qualatex. These balloons can be filled with helium or air and they measure 11 inches diameter when fully inflated. Each pack contains 6 balloons. Everything arrived prompt and in good order,I would most certainly deal with this company again.